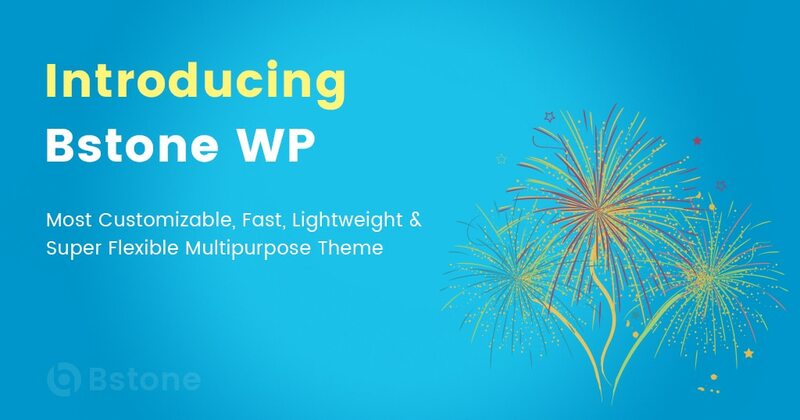 We just released Bstone WP Theme. Bstone is the perfect theme for page builders. Lightweight and highly extendable, it will enable you to create almost any type of website such a blog, portfolio and business website with a beautiful & professional design. Very fast, responsive, translation ready, best SEO practices and much more. You can even edit the settings on tablet & mobile so your site looks good on every device. Work with the most popular page builders as Elementor, Beaver Builder, Visual Composer, Divi, SiteOrigin, etc… Developers will love his extensible codebase making it a joy to customize and extend. Best friend of Elementor. Ready for WooCommerce and other popular plugins. I just started a website and I’m using bStone! So far I love it! I love that it’s accessible too! Now all I need to do is get the sidebar widgets working the way I want them! Thanks for making a great accessible theme!